Sun damage, fine lines, and crow’s feet can make your face appear older than your actual age. 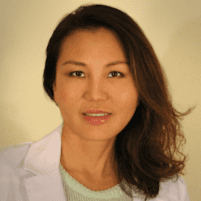 Amy Chow, MD, of Dr. Chow's Rejuvenation Practice in Lee’s Summit, Missouri, is an aesthetic medicine and anti-aging specialist who provides a variety of chemical peels, including VI Peel® and SkinCeuticals, for women who want their outward appearance to match how young they feel inside. Chemical peels can help reduce wrinkles and the appearance of age spots and improve the overall look and texture of facial skin. Call or schedule an appointment online to learn which chemical peel is right for you. A chemical peel is a technique that uses a chemical solution to improve the texture, tone, and overall appearance of your facial skin by exfoliating and removing the outer layers that have been damaged by sun exposure, acne, or aging. Once the damaged layers peel off, you’re left with a new layer of skin that isn’t affected so much by the sun or the aging process. The type of chemicals and techniques involved — from superficial to medium to deep peels — produce different levels of noticeable results, depending on the severity of your skin condition. The medical aesthetic team at Dr. Chow’s Rejuvenation Practice closely examines your skin and its problem areas and recommends the best type of peel for your needs. There are several types of chemical peels, and each has different levels of ingredients formulated for the severity of your situation. Some peels are mild with no recovery period, while others produce more extensive results and often require downtime as your skin heals. A light, or superficial, “lunchtime” chemical peel works well for uneven pigmentation, dry skin, and fine lines. This type of peel uses a light exfoliation that removes the outer layer of your skin, resulting in a healthy glow. Light chemical peels often use alpha hydroxy acids and beta hydroxy acids like glycolic acid, lactic acid, and salicylic acid. A medium chemical peel can improve the appearance of acne scars, deeper wrinkles, and uneven skin tone. Medium peels typically use chemicals like glycolic acid and trichloroacetic acid to remove the outer layer of your skin as well as part of the next layer under it. A medium peel goes deeper than a light peel for more visible results. Deep chemical peels use phenol — a strong chemical for deep penetration of skin layers. You may require a local anesthetic to relieve discomfort during a deep chemical peel. Deep chemical peels improve deeper wrinkles, scars, blotchy skin, and precancerous growths, and are not suited for everyone. Recovery time can take several weeks, and produce dramatic, long-lasting results. What specific chemical peels are available? The team at Dr. Chow’s Rejuvenation Practice offers a variety of VI Peels to treat acne-prone skin, the effects of aging, and areas of pigmentation. They also offer SkinCeuticals chemical peels to treat numerous skin concerns. For most women wishing to improve the tone and texture of their skin, a light or medium peel is a good choice, and Dr. Chow can recommend the ones that are right for you.